Reports from Amnesty and Human Rights Watch in the last weeks tell of crimes against humanity and war crimes committed by the Syrian government against oppositional rebels and civilians, but the government are unlikely to face repercussions, thanks to the protection of Russia’s veto. On the 7th of February, Amnesty released a report detailing the extrajudicial executions by hanging carried out by the Syrian government at Saydnaya Prison. Between 2011 and 2015, groups of 50 people were hanged once or twice a week. As many as 13 000 people may have died at Saydnaya Prison in this manner, most of them civilians opposed to the government. The report also details the use of torture and systematic deprevation of food, water, medicine and medical care, creating inhuman conditions for the prisoners. The following week, Human Rights Watch released a report showing that Syrian government forces used chemical weapons in the final weeks of the campaign to retake Aleppo from rebels. The report shows that helicopters dropped chlorine in residential areas on at least eight occasions in November and December 2016. The attacks took place in areas where government forces were planning to advance, indicated that they were part of the military strategy to retake Aleppo and not carried out by rogue elements. At least nine civilians, including four children, died from the attacks, and more than 200 were injured. These reports clearly show that crimes against humanity and war crimes are being committed by the Syrian government. However, those responsible are unlikely to face repercussions. 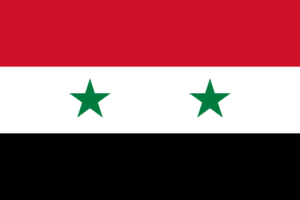 Syria is not a state party to the International Criminal Court. Therefore, a decision by the United Nations Security Council to refer the situation to the court is necessary for it to investigate the situation. On a number of occasions, Russia has used its veto to block such a referral, and that is likely to happen again if a draft resolution is put forward. Before Christmas, the United Nations General Assembly established an investigative body to collect, consolidate, preserve, and analyze evidence of war crimes and human rights abuses in Syria, in preparation for future criminal proceedings. Such criminal proceedings are unlikely to be initiated in the near future, but may be possible at some time in the future. Until then, Syrian civilians continue to suffer the crimes their government is committing.